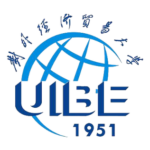 One of China’s top research-oriented universities. 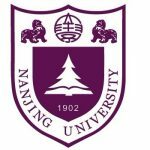 Apply Today to Study in China! Peking University is one of the highest ranked universities in China, forming part of an elite group of universities called the C9 League. 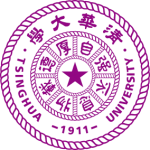 Founded in 1898, Peking has a long history of academic excellence and was formerly known as the Imperial Capital University. 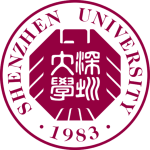 Peking regularly ranks among the top two universities in Mainland China; it is well recognized both nationally and internationally. Throughout its history and record of academic success, Peking has distinguished itself as one of China’s top, leading institutions and has produced some of the country’s most prominent leaders. Renowned for its teaching and research centers, over the past century more than 400 Peking University alumni have gone on to become the presidents of other major Chinese universities. 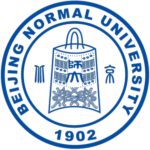 Situated in the Haidian District in northwest Beijing, Peking University is renown for its expansive campuses that are home to some of Beijing’s most prominent gardens. The campus still retains some of its historic buildings and structures including pagodas and traditional houses. If you choose to come and join our China Study Abroad Program in Beijing, this may just be your campus! Peking University has a remarkable current record of 46 074 students, of whom a total of 4 400 are international students from 80 countries around the world, dispersed across a number of degree and research programs. In addition to this, a few hundred are added each year on Peking University’s annual list of international students enrolling in Chinese language programs. Peking University’s Summer School International (PKUSSI) offers students an exciting and enriching experience. PKUSSI was established in 2009 and aims to provide aspiring students an understanding of how the world sees China and how China sees the world. Has a highly qualified faculty of 55 full-time teachers, including eight professors and 29 associate professors. The programs at Peking University has delivered so much value that Cornell University signed a monumental agreement which requires their students to spend a semester at Peking University in China to take part in an internship abroad. Upon successful completion of the Go Abroad China Mandarin Language Program at Peking University, you will receive an official certificate and results transcript from the university, which are accepted by most universities around the world. Successful completion requires an 80% attendance rate and passing grades for the exams and overall course. Once you have completed the course, Go Abroad China will provide you with all the necessary documentation and assistance for credit transfer. Study abroad for a semester here; you will soon be speaking Chinese like one of the locals! To get you started, we look forward to welcoming you to Zhongguo (China in Mandarin) for an exciting language course at Peking Daxue (Peking)! Peking University accepts students of all levels for their short-term courses, starting from absolute beginners and finishing with advanced students. Field trips to the Great Wall, Hutong Tour 798 Art Zone and more. 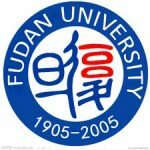 For those of you who like this course structure but would like to study at a different campus, you can study at Tsinghua University; learn Chinese in Beijing today and get a full Chinese experience.